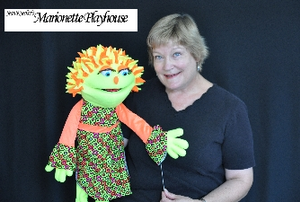 Master Puppeteer Jean Kuecher will demo her glowing, fluorescent puppets, and lead preteens, ages 9-12, in a mini-workshop where they will create and practice with their own black light puppets. Free tickets are required for library events due to limited space. Tickets must be picked up at the Children's Desk on the day of each program and are given out 5 minutes before the event begins. Entrance is first-come, first-serve, until the room or program is at capacity.